Shirts With Random Triangles: First "Aquaman" trailer unleashed at ComicCon. Scene from "Aquaman." Image via Den of Geek. From the "Everybody Else Is Doing It, So Why Can't We?" department comes the first trailer for Aquaman, the latest movie in the DC Movie Universe. The trailer just made its debut at the San Diego ComicCon, and is quickly spreading all over the Internet. 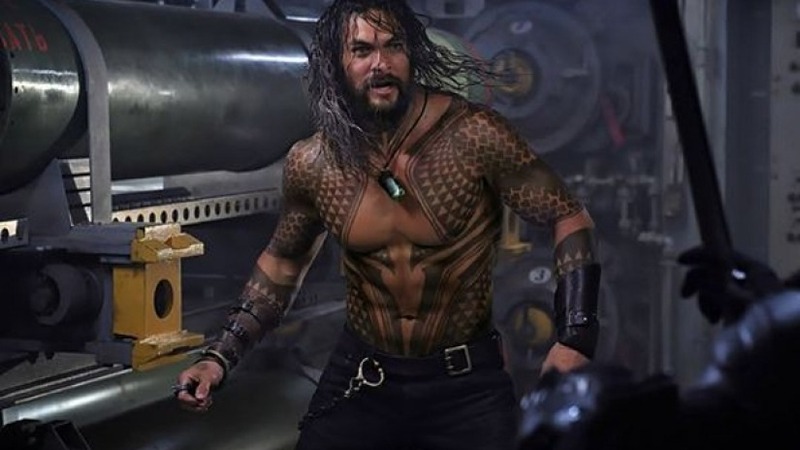 The film stars Jason Molina as Aquaman, Amber Heard as Mera, Yahya Abdul-Mateen II as Black Manta, and Patrick Wilson as Aquaman's evil brother Orm (aka Ocean Master). Aquaman also stars Nichole Kidman as Queen Atlanna (Aquaman's mom), Dolph Lundgren as King Nereus, and William DeFoe as Nuidus Vulko. The film is directed by James Wan (Furious 7, Saw). It's scheduled for a Dec. 21 release.